From the minds behind The Matrix, V For Vendetta and more thrilling action classics comes a Netflix series bound to leave us stunned and yearning for more. The first trailer for The Wachowskis' Sense8 original series is here and it looks as intense and mind-blowing as you could have hoped. Check it out. News of the Wachowskis’ work on a science fiction drama for Netflix came almost two years ago when the sibling duo announced their first stab at the small screen. Back then it was described as a ‘gripping global tale of minds linked and souls hunted’ and now, after seeing the first trailer, that description starts to make total sense. With the opening question, “Do you know what it means to be reborn a Sensate?” we are introduced to a world where minds and lives are connected. The story seems to steam off of Brian J. Smith’s newly discovered visions of the other people he has become connected with. Seeing a woman’s reflection in a mirror isn’t even the half of though. These 8 complete strangers become linked mentally and emotionally, and gain access to each other’s deepest secrets and abilities. They can speak languages, access fighting knowledge or just chat with one another. The term Sensate is not to be taken lightly, though. The connecting strangers are out to discover why this happened and what it means for the future, and all while doing so an organization is on the hunt to capture this new type of human. 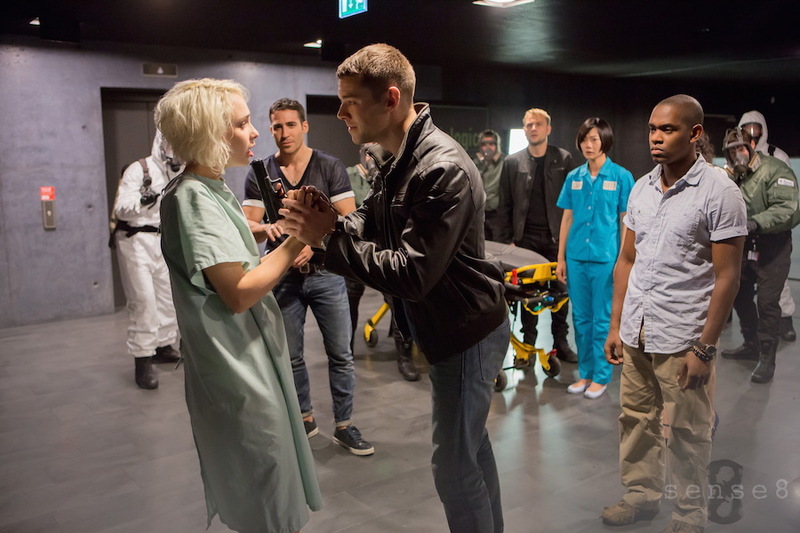 Alongside Brian J Smith the seven other connecting characters include Tuppence Middleton, Miguel Silvestre, Tena Desae, Max Reimelt, Jamie Glayton, Aml Ameen, and Doona Bae, each with their own unique skills and abilities that make protecting their secret that much easier. 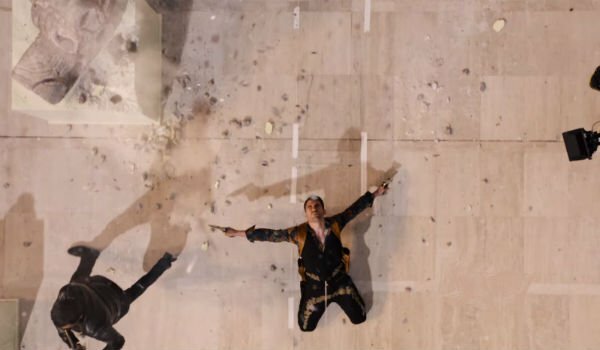 And with the Wachowski siblings on board to direct, you know there’s going to be some sweet action sequences in the mix with the sci-fi thrills. We’ve already got a glimpse at one very Matrix-y move. 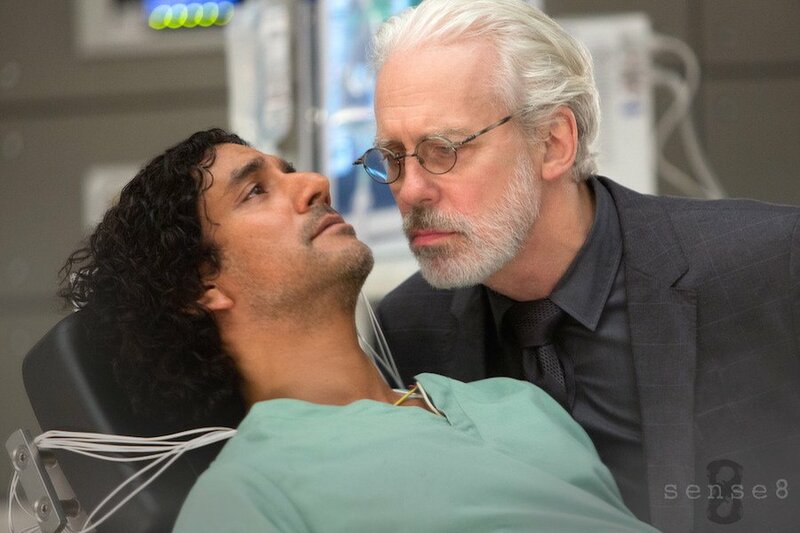 Sense8 will definitely be leaning on its sci-fi origins though and by using death to begin the series, a complex new way of life will form. The Wachowski siblings are nothing if not ambitious, and in teasing their series a few months ago they told i09 that there would indeed be live births and psychic orgies. The duo teamed up with J. Michael Straczynski (Babylon 5) and took over a year to film the series in locations from San Francisco to Mumbai to Reykjavik, and by the looks of the trailer, it was quite the ride. The binge-watching will commence on Friday, June 5th when all twelve episodes hit Netflix.